While a completely peanut-free environment is difficult to provide in an open baseball stadium where peanuts are sold and consumed by many of the fans, Major League Baseball (MLB) teams are reaching out to the baseball fans with peanut allergies by providing peanut controlled seating for selected games. 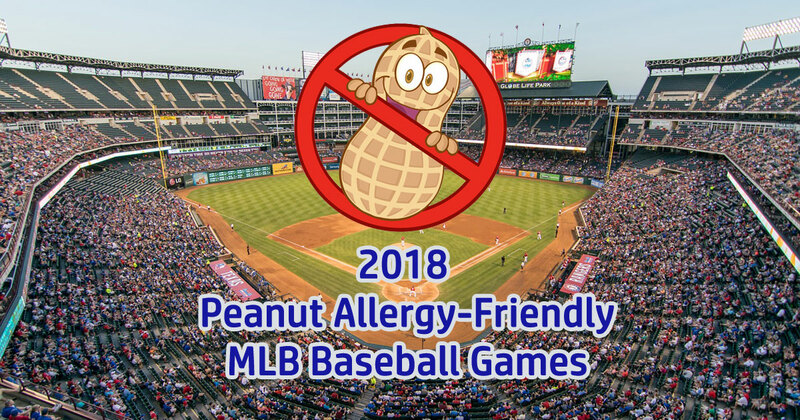 Here is a comprehensive list of all the peanut allergy-friendly MLB teams that are hosting peanut-allergy friendly games in the 2018 season. 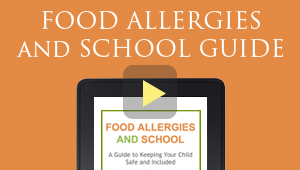 Note that teams announce dates for peanut allergy-friendly games at different times. This post will be updated as announcements are made. TBD indicates that the team’s administration has not sent confirmation regarding the 2018 season. A Peanut Allergy Suite is available for select games. The Oriole Park Peanut Allergy Suite is available on May 8 vs. Kansas City; May 28 vs. Washington; June 15 vs. Miami; June 25 vs. Seattle; July 13 vs. Texas; July 23 vs. Boston; and August 14 vs. New York-NL. Tickets for this suite are available via phone order only at 888-848-BIRD. Anyone interested in purchasing tickets must be on the mailing list. Fans can contact [email protected] to sign up. Suite Events at Yankee Stadium for Guests with peanut allergies are scheduled on Saturday, May 5th against the Cleveland Indians at 1:05pm and Tuesday, July 3rd against the Atlanta Braves at 7:05pm. The cost will be $100.00 per ticket per person with seating in a Party City Party Suite, and basic ballpark food and non-alcoholic beverages will be included in the cost of the ticket. Email Cristina Campana at [email protected] for more details. No peanut allergy friendly games in the 2017 season. 2018 dates have not been posted or confirmed. Toronto Blue Jays Peanut/Nut Reduced Zone is offered in 15 games in the 2018 regular season. All Peanut/Nut Reduced Games are listed on the Blue Jays website and can be purchased using the promo code 2018NUT. Chicago White Sox has 2 Peanut Free Baseball Games planned in 2018. Texas Rangers on May 19 at 6:10 p.m. and the Kansas City Royals on July 15 at 1:10 p.m. Limited seating is available, so download your order forms here: May 19 and July 15. Contact Mike Rourke at 312-674-5186 with any questions. To order tickets, please visit the Indians website or call 216.420.4487 where a Fan Services Team Member will direct you. The Detroit Tigers have 3 Peanut Friendly games in 2018: April 21, April 22 and May 26. They will not allow nuts or nut products in the designated area and will do a thorough cleaning of the area in advance. Maximum of 4 tickets can be purchased per family. The Royals are pleased to offer Peanut Friendly Games at The K. The Joe Burke suite will be made available for 5 select games at Kauffman Stadium for the 2018 Regular Season: . Please contact Katy Davis at 816-504-4388 or email [email protected] to order tickets. The Anaphylaxis and Food Allergy Association of Minnesota (AFAA) is coordinating with the Minnesota Twins to offer special seating for fans with peanut allergies for 12 games. Details and prices are available on the ticket order form, courtesy of AFAA Minnesota. Contact Luis at (612) 659-3575 or [email protected] with questions. The Seattle Mariners are pleased to offer five special peanut controlled area games at Safeco Field in 2018! No peanuts will be allowed in sections 313, 314 and 315 seating areas, which will be cleaned and checked just prior to the gates being opened. The Marlins planned their first peanut controlled game in 2017. 2018 dates have not been posted or confirmed. Eighth Annual Peanut Controlled Suite Day on Sunday, April 15 vs. Milwaukee Brewers. No peanuts will be allowed in Empire Party Suite 201, 202 and 203 for the game. The Phillies offered Peanut Reduced Suites for 7 select games in 2017. 2018 dates have not been posted or confirmed. The Washington Nationals has 6 Peanut Free Days in 2018: April 7, May 5, July 7, August 4, September 23. Download order form here. Contact Seth Puglio at (202) 640-7687 or [email protected] for more information. Cincinnati had 4 Peanut Sensitive Days in 2017. 2018 dates have not been posted or confirmed. Club Outfield Box Sections 306 and 307 are reserved as Peanut Controlled areas for 5 games in the 2018 season. Limit of 8 tickets per order. Allergy Awareness Day will take place on Sunday, May 20 vs the Padres in a peanut-controlled section in the Miller Lite Rooftop. Tickets are $35 and include $5 in Loaded Value credit, good for concessions and merchandise on the day of the game. If there is anything else we can assist you with please email back or call us at (412) 323-5000. On Sunday, May 20th, fans with peanut allergies can enjoy a Peanut Controlled Day, featuring tickets in a peanut-free section. This area will be thoroughly cleaned before the game and the sale and consumption of peanuts will not be allowed. The Colorado Rockies had 1 peanut-controlled game night in 2017. 2018 dates have not been posted or confirmed. For questions, call 303-ROCKIES. The San Diego Padres will have a Peanut-Controlled seating area on Sunday, July 29th. Preparations for the game includes power washing the the seating section and removing items with peanut related ingredients in the area, with emergency responders nearby and “No Peanut Zone” signs. Purchase tickets online, or contact Jenna Sain at [email protected] to purchase more than 10 tickets.